My problem with takeout is smelling it in the car all the way home, or as happened today, on the way to my hotel. Except that my hotel was three hours away and by the time I arrived, I was ready for an early dinner. No amount of tying up the bag kept the aroma of smoky ribs away from me. So how were they? 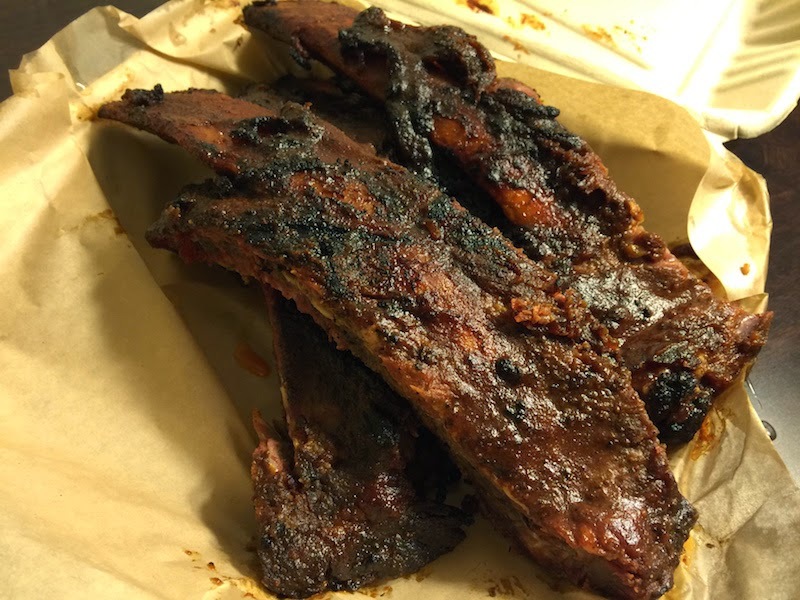 Read my full review of the beef ribs at Buz and Ned's Real Barbecue in Richmond, Virginia after the break. I found out about Buz and Ned's from Man vs. Food with Adam Richman on The Travel Channel. There's plenty of indoor tables, and benches under a tent. 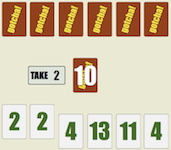 I love beef ribs, but a lot of BBQ joints don't serve them, opting instead for beef brisket. Beef ribs take longer to prepare, and also my guess is that pork ribs are more popular. So when I get a chance at some beef ribs, I take it. 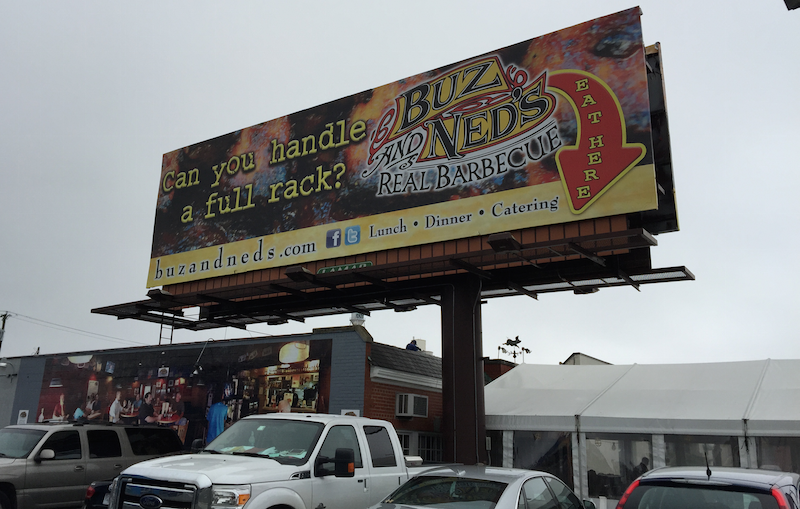 And the beef ribs at Buz and Ned's did not disappoint. In fact, these are best beef ribs I've ever had. What makes them the best? 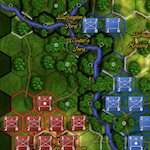 First off, check out the size. There is just simply a lot of beef on these beef ribs. And, my order was two ribs, but they threw in a third one that was about half covered with meat. Now that's service! The beef is seasoned and smoked perfectly, with a smoky hickory flavor and juiciness. I also liked the barbecue sauce. 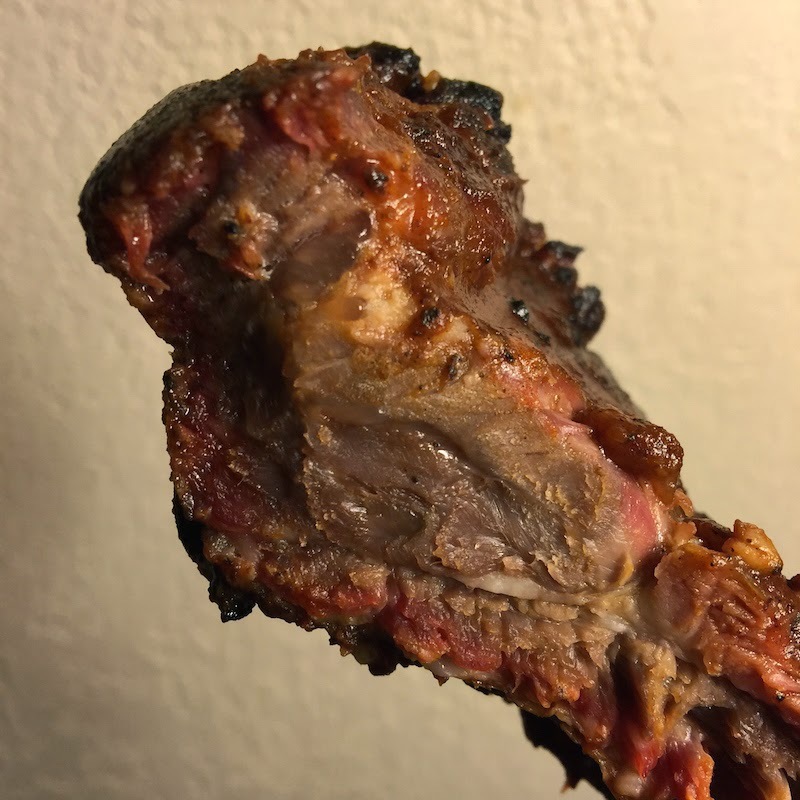 My opinion is that the thicker and sweeter the sauce is, the more it's trying to hide a rib that wasn't seasoned well, and didn't spend the right amount of time over the smoke. 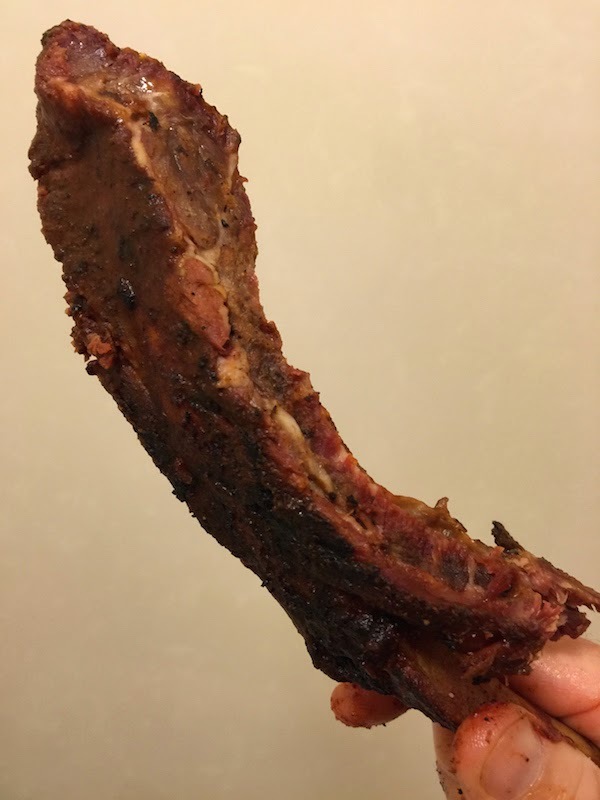 The sauce was already on the ribs, and it was very thin. And with just enough heat to kick up the smoke flavor. The Kick N Fried Okra lived up to its name with a definite spicy bite, and I liked how thin the batter was on it. 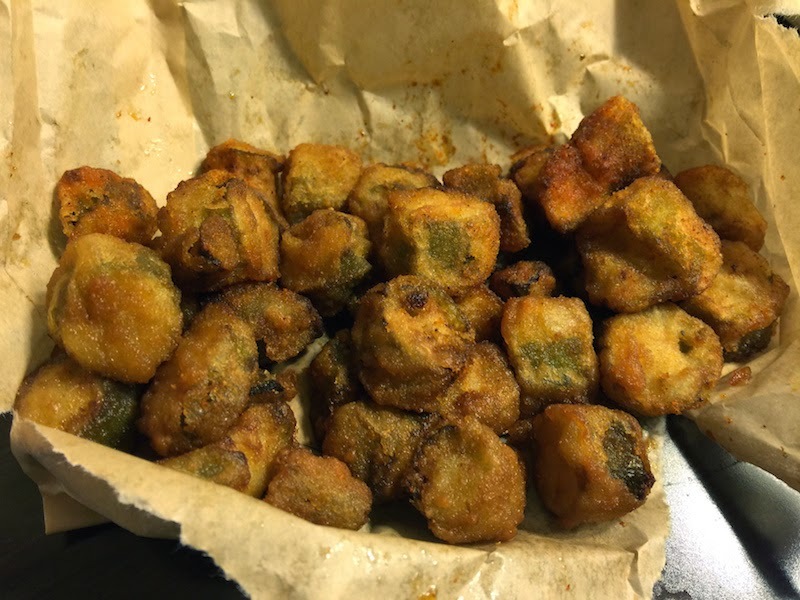 I love fried okra, but don't need tons of batter on it. 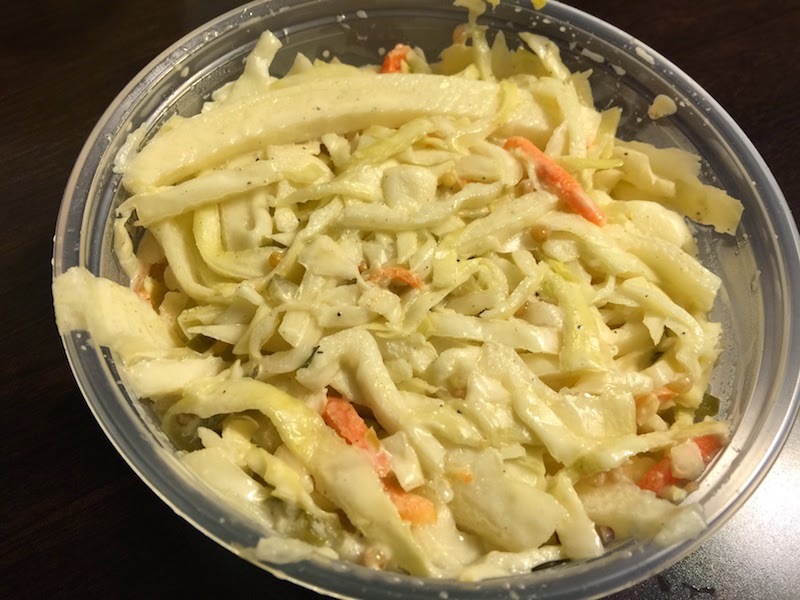 The coleslaw also had a bite to it, this time from mustard. TIP: Your order can take a while (mine took at least ten minutes), so keep your cool and look forward to your delicious BBQ.